The first conundrum of our expat experience happened standing stock still as we contemplated the mysteries of the produce stand. Knowing that your life’s blood depends on figuring out what to do with an overwhelming array of unfamiliar foods can be daunting. At first, jet lag dictated we take the simple approach and begin stocking our kitchen with the standard imports. 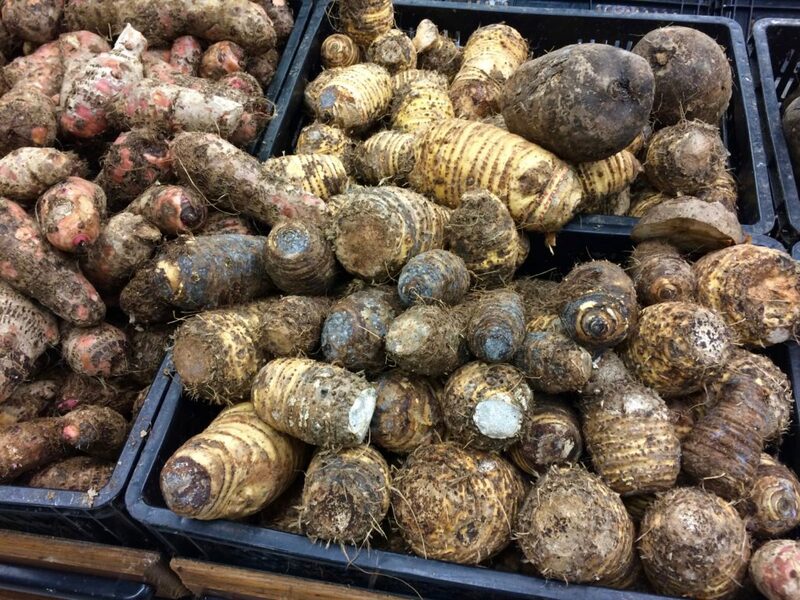 Curiosity is a powerful motivator, however, so every few days we’d make another foray through the fresh produce section, each time picking up a weird-looking thing. When we got it home, the puzzle of what to do with it would begin in earnest. Cooked or raw? Boiled or baked? Whipped or pounded? What kind of seasonings? 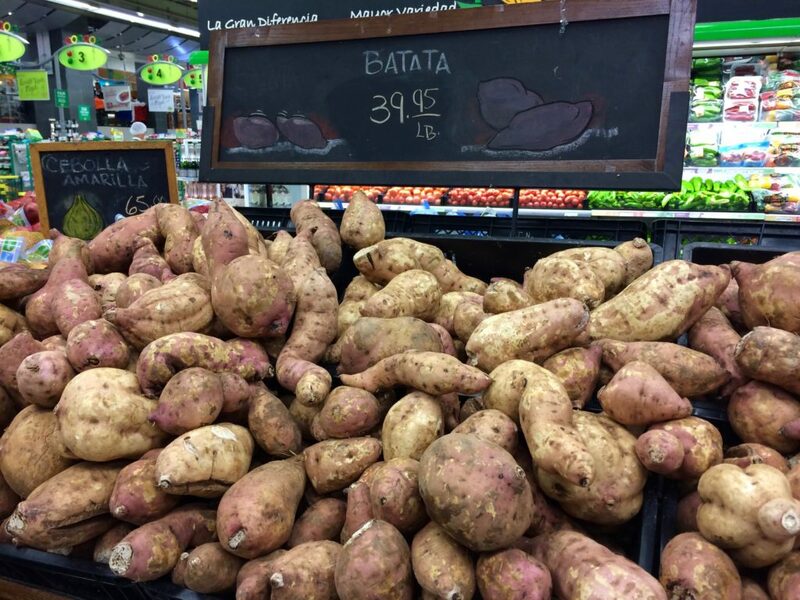 A batata is fairly straight forward, but the rest? Hard to say. I’ve proven that it’s possible to get it wrong a lot of times. And what relationship do any of them have to what appears on my plate at a restaurant? Even when I know exactly what I’m buying, extreme size still adds the dimension of wonder. 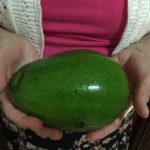 Have you ever seen an avocado like this? 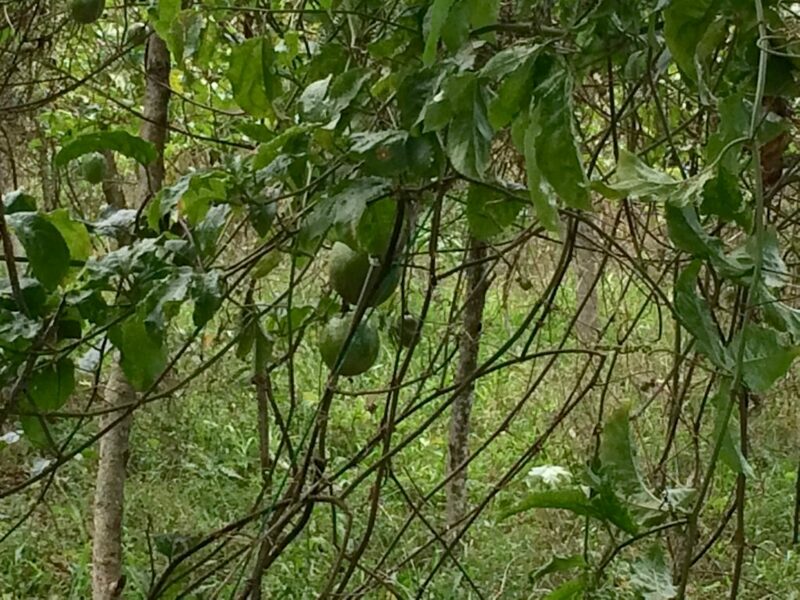 What about this papaya, or lechosa, as they call it here. 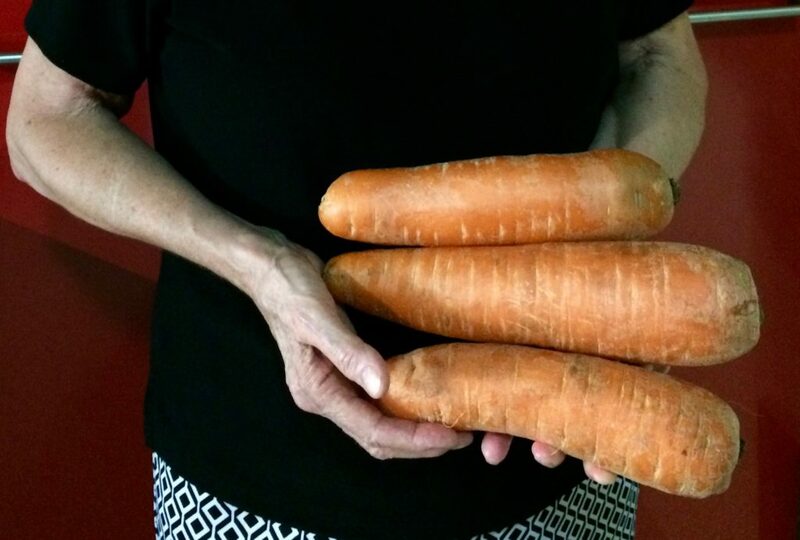 These carrots from Constanza are so large you’d expect them to have bitter hearts, but they’re not. The carrot is sweet all the way through, and so large it feels like I’m cutting up a potato. 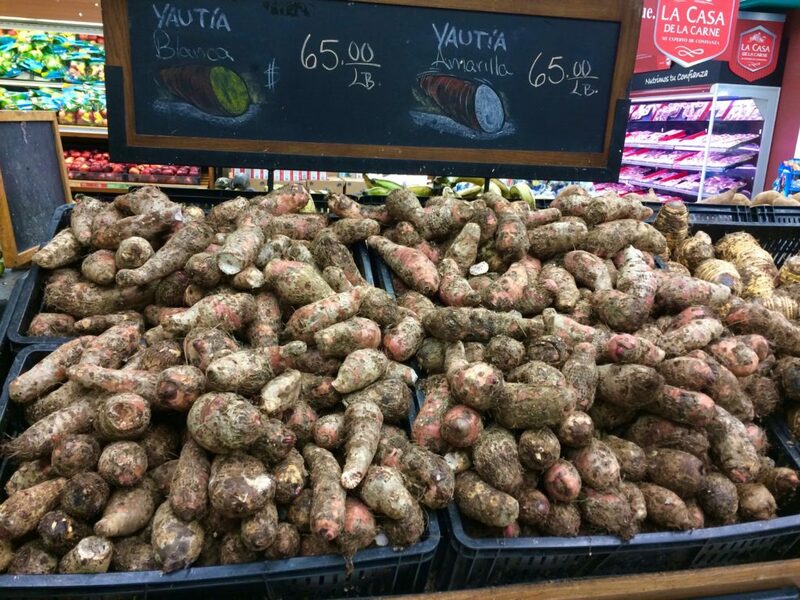 Speaking of which, the potatoes in the DR have an amazingly robust flavor. Once again it reminds me of how little we have to thank Monsanto for in the U.S. If people at home realized what potatoes and tomatoes could truly taste like, they’d revolt against genetic engineering. Mind you, picking a tomato is tricky because they often don’t separate the red from the green or any of the stages in between. This means you have to gently dig to get what you want. Sometimes the result is squish on your hands. 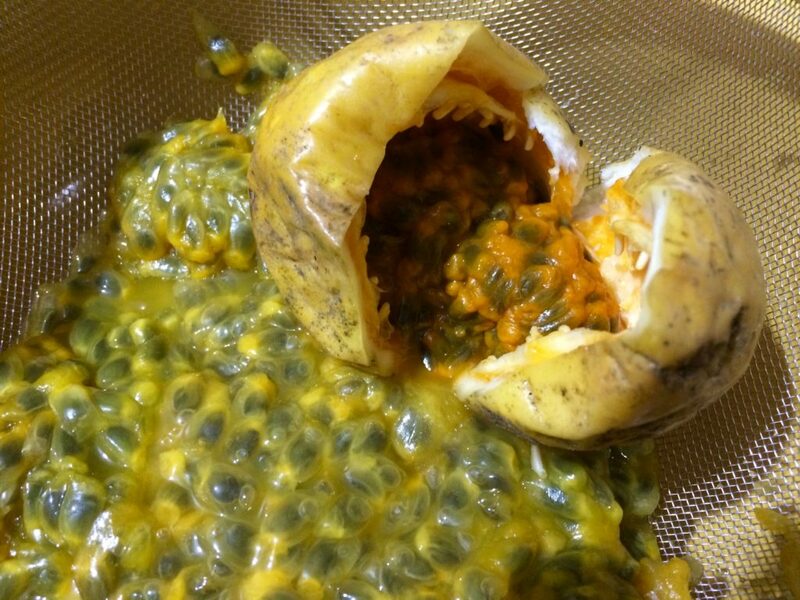 The discovery of chinola (passion fruit) marks an important gastronomic event in our life here in the tropics. It has a flavor like nothing else I’ve ever eaten and is in my top ten of delicious tastes. Right up there with Dominican chocolate and mangos. 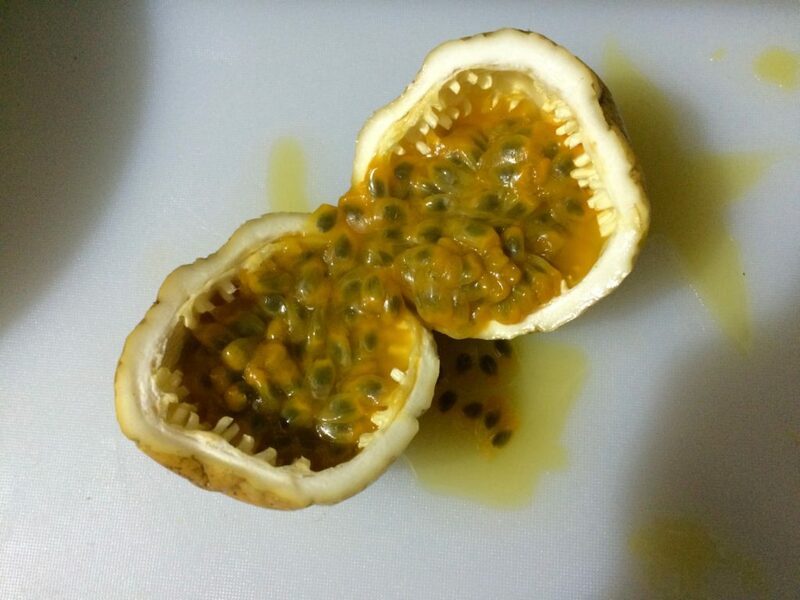 In some countries it’s called passion fruit. 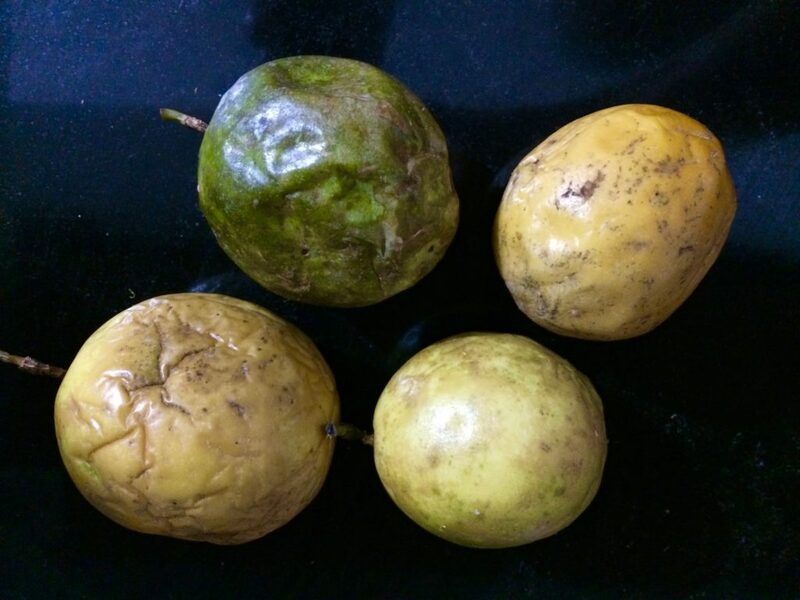 A chinola is a fruit that looks a bit like an orange, but the flavor isn’t even close. It’s tart like citrus, and very intense. 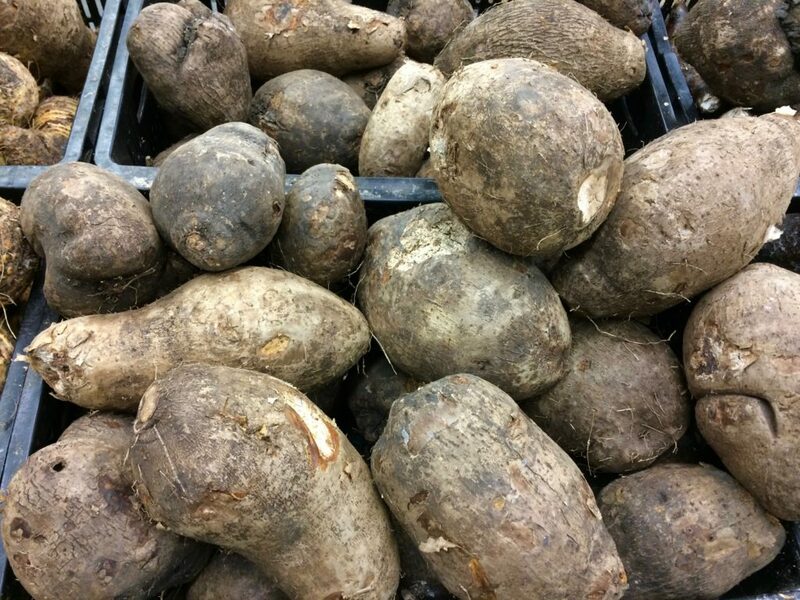 Instead of being heavy and dense to the heft like an orange, a chinola feels rather light. The skin is a little dry instead of rubbery like an orange and, instead of growing on a tree, it’s picked from a vine. At the time of my first encounter, I half expected it to be some kind of an orange. This was in my “buy one of every strange thing in the market to see what it’s like” phase. When I got it home and cut it open, this oozy dribble came out. 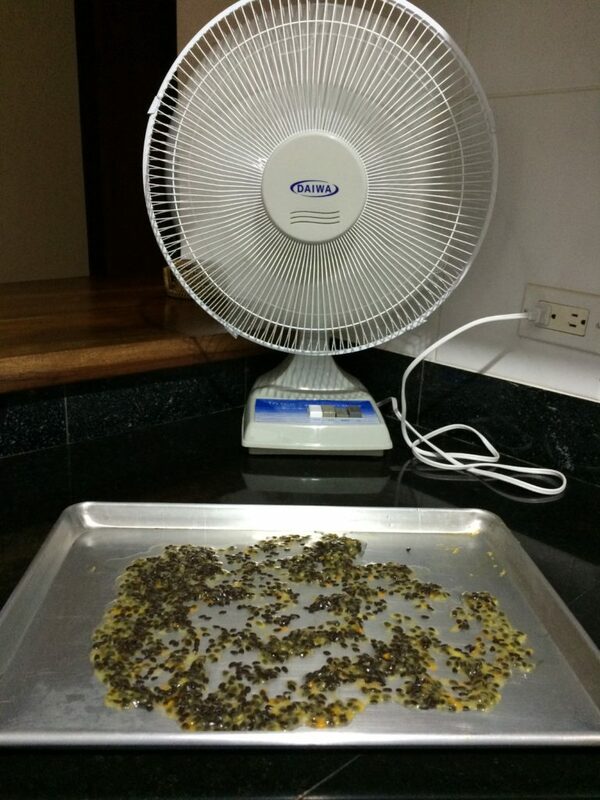 But the odor was so wonderful that my salivary glands responded. But I didn’t know what to do with it. Undecided, I left it on the counter for awhile. Mistake! I hate to admit that my first experience with chinola resulted in yet one more item for the trashcan. There are two colors of pulp: either greenish yellow or orange, both bright. I haven’t figured out how to tell from the outside which chinola is which. 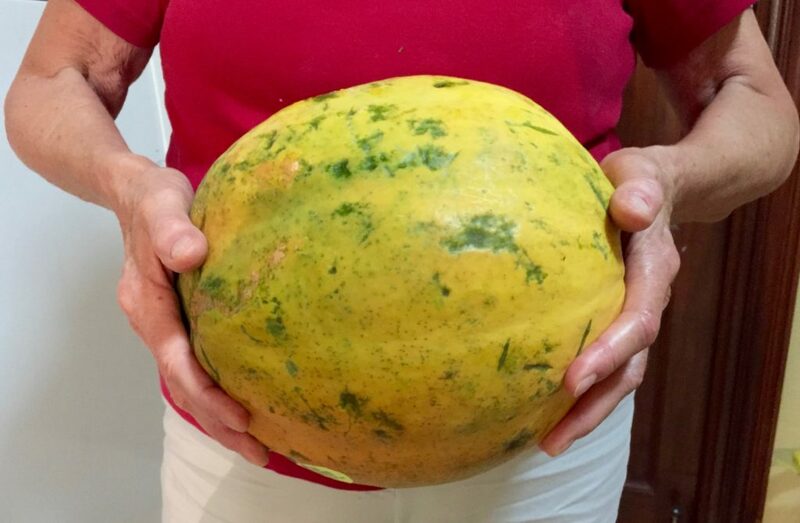 I stood in front of a huge bin of chinola in La Serena one day and watched the women shake each fruit close to their ear to make their selection. 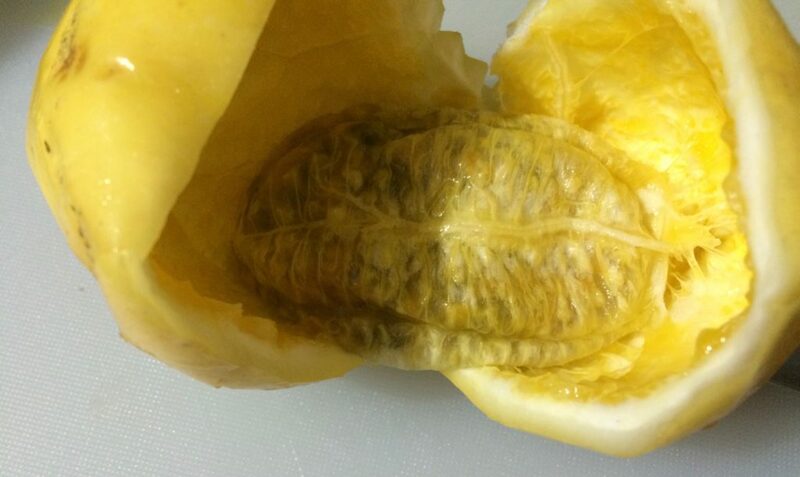 Apparently, when you can hear the insides sloshing, you know the fruit is a good one. 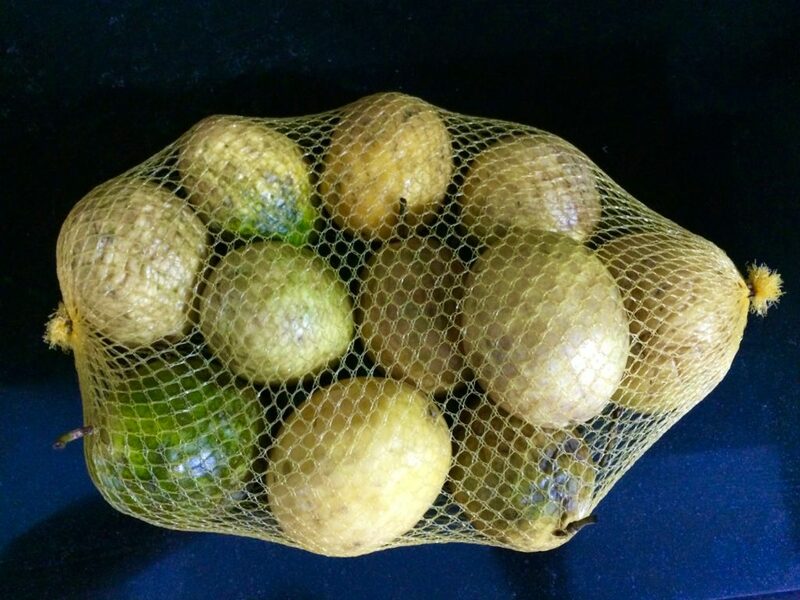 My purchase today came pre-selected for me in a net. 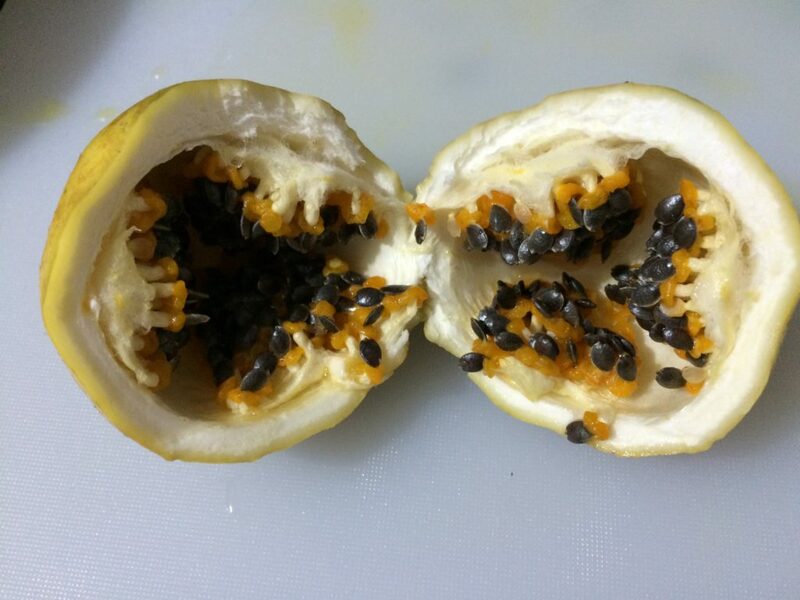 Out of ten chinola I found one in which the inside of the fruit had formed a tight sack around the seeds and pulp like a kind of embryo. I opened it up, and there wasn’t very much juice left. Another was totally dried out inside, so I threw it away. 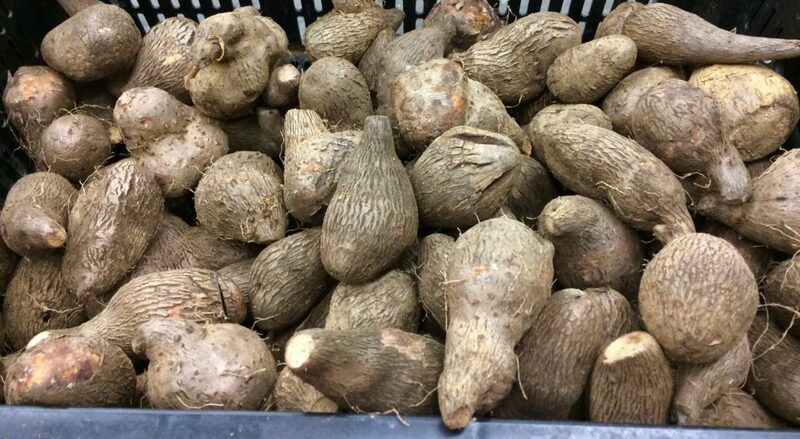 Cut one or two chinola in half over a blender or directly into a sieve over a bowl. 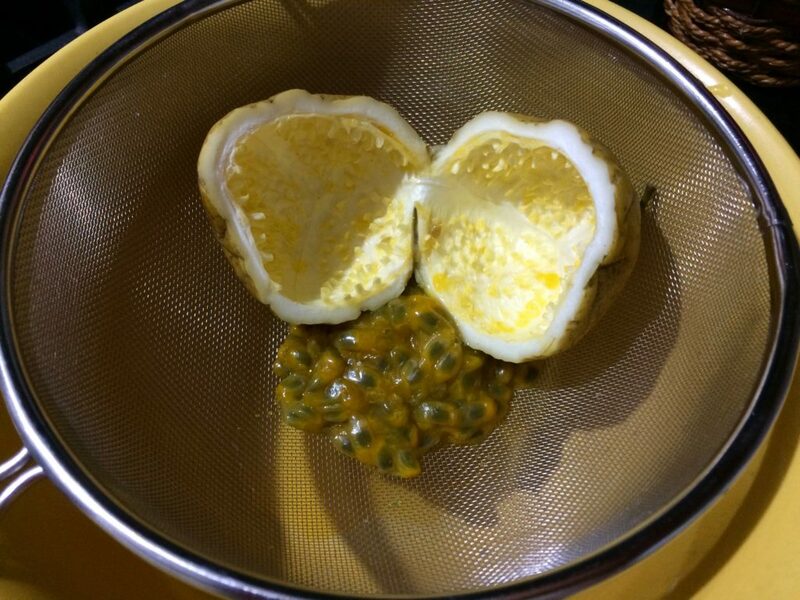 Scoop out the liquid and seeds and let them drip through the sieve. 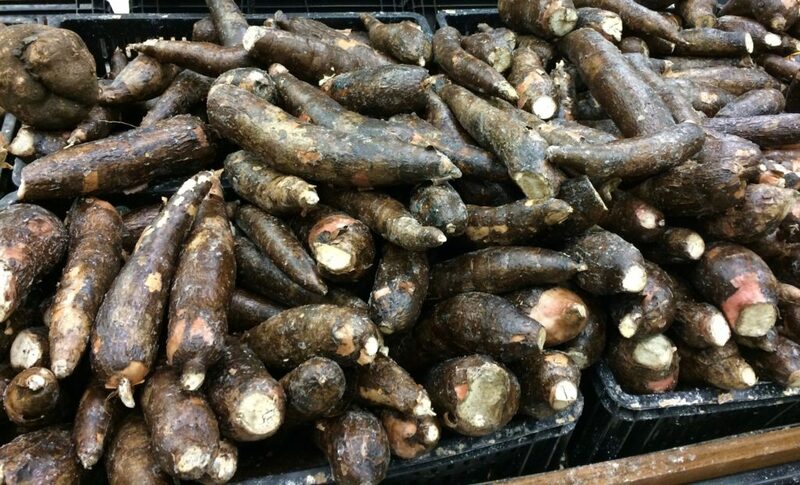 If you whip the chinola in the blender for just a few seconds it seems to break down the mass and allows the juice to come out of the pulp more easily. Then, pour it all into a sieve over a bowl and let it drip for a while. 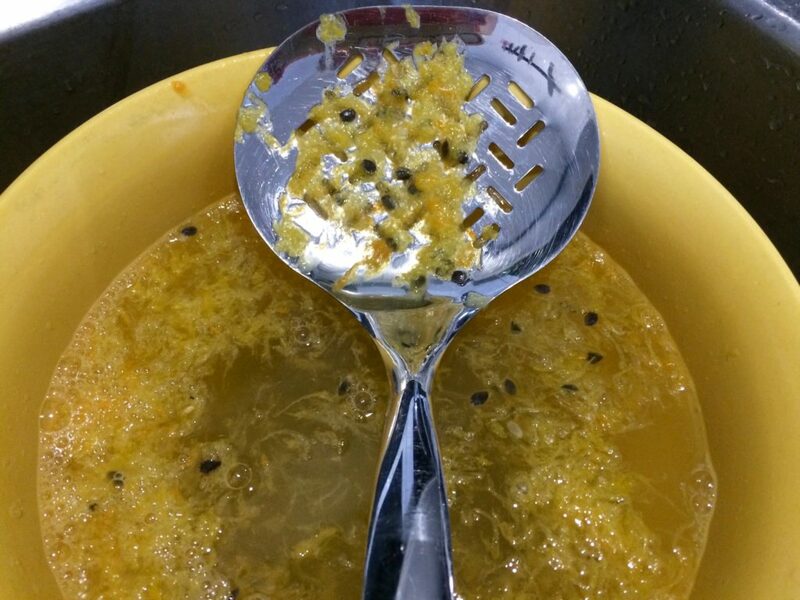 You can hurry the process by pressing the pulp with the back of a soup spoon. Pour the juice into a glass. Add sugar and ice-water or crushed ice to taste. Delicious! My favourite variation uses chinola syrup as a base. 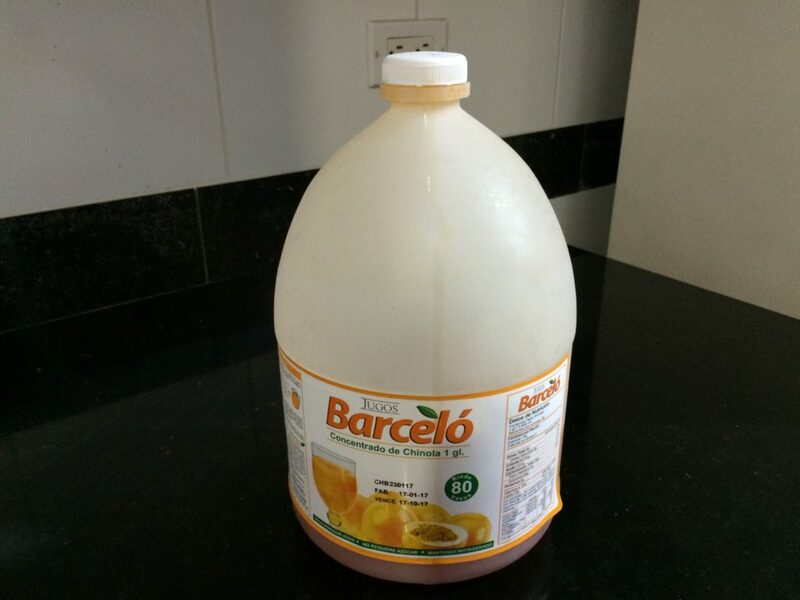 Most well-stocked grocery stores in the DR carry both Bon and Barcelo. Our favorite drink of all time is made with 1/4 syrup, 1/4 unsweetened fresh chinola juice, and 1/2 ice-water or crushed ice. Perfect! 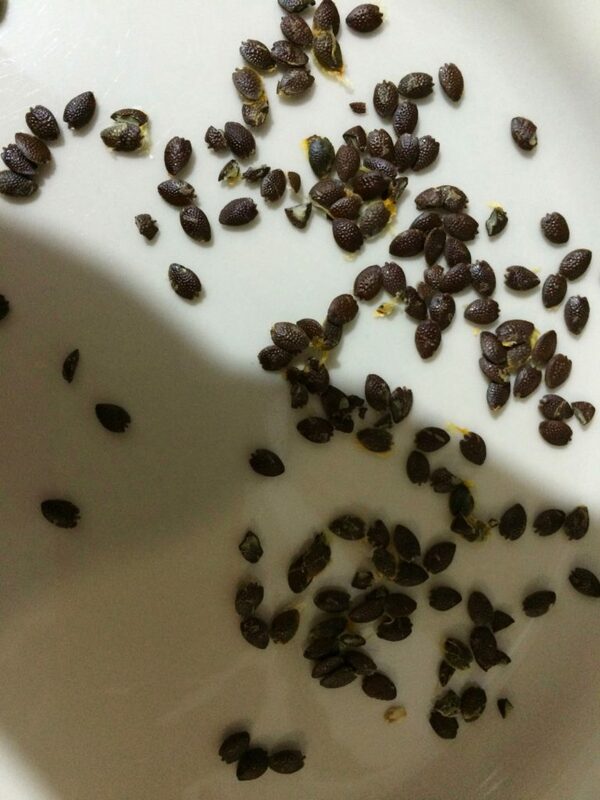 What to do with those little black chinola seeds? They don’t have any flavour to speak of, but one of our favourite bakeries here makes an amazing chinola cake using the seeds as a crunchy garnish. The recipe seems to be several layers of yellow cake soaked in sweetened chinola juice with a layer of pudding (maybe vanilla or a flan) between each. 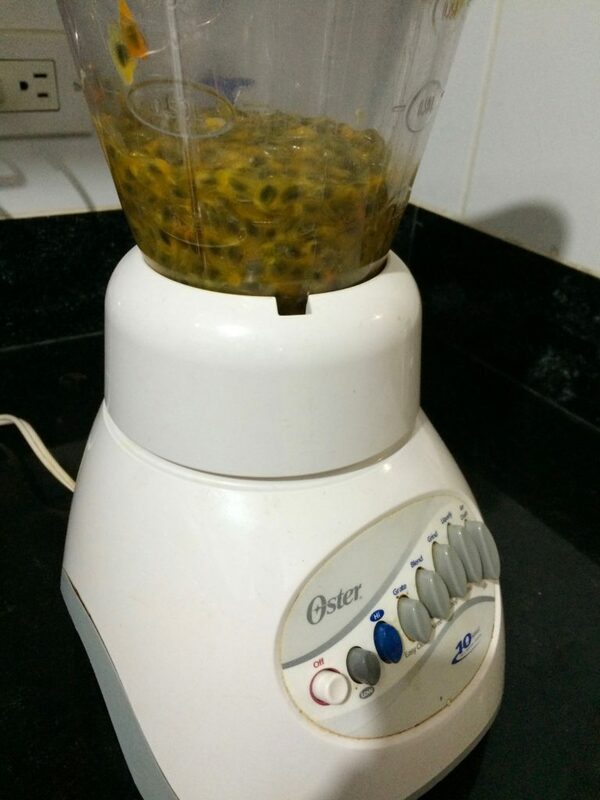 Topped with thickened chinola juice, dried chinola seeds, and lots of whipping cream. 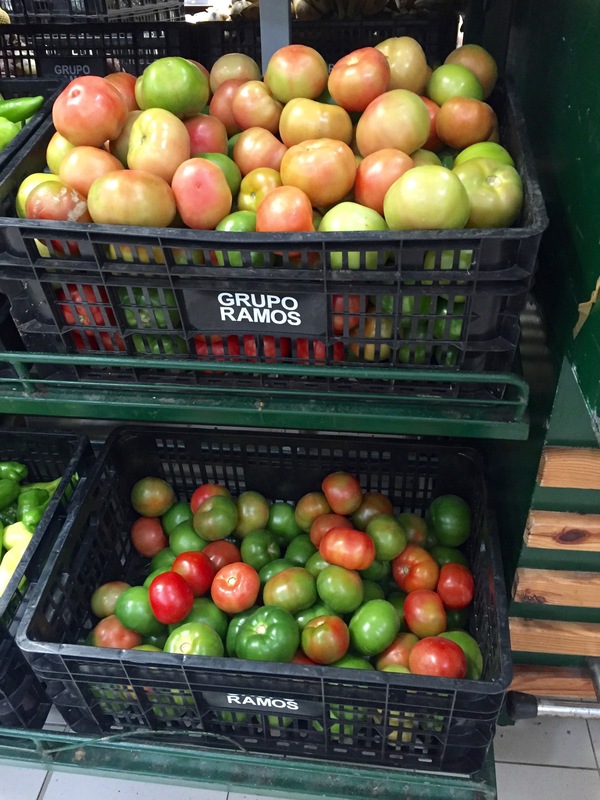 Yet another great adventure traveling–and enjoying vicariously the cuisine and the culture in the D.R. Thank you for exposing your readers to these marketplace treasures. 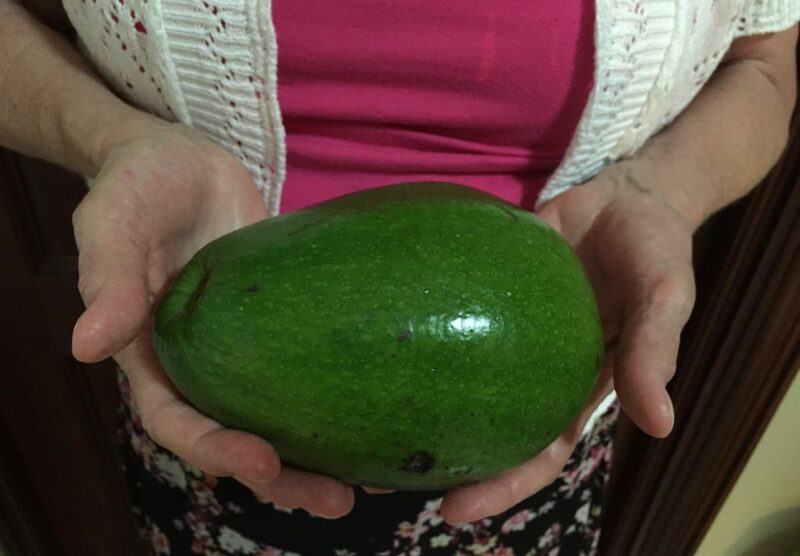 I want to make guacamole with an avocado that size! Enough guacamole for a party in that one avocado!